PHPD discovers why Eurowall+ was selected for two large housing developments which required cavity insulation offering superb thermal capabilities as well as long-term protection against the perils associated with damp. 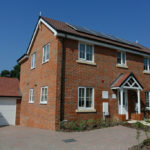 The multi-million pound developments at Hedge End in Southampton, and Ludgershall in Andover, contain nearly 300 plots as part of a mixed social and private property scheme undertaken by housebuilder Foreman Homes. To maximise the long-term thermal performance of each home, a reduced thickness, full-fill insulation board which allowed for lower U-values was required. The housebuilder selected Eurowall+. Produced by PIR manufacturers Recticel Insulation, Eurowall+ is a precision-cut, full-fill cavity insulation board. It features a high-performance tongue-and-groove joint on the board’s four sides to ensure a tight, secure lock and increased protection against wind-driven rain. Another of its innovative facets is its size. 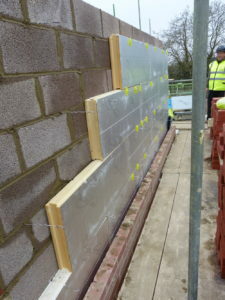 Whilst many rigid full-fill products are 97mm or thicker for a designed cavity width of 100mm, Eurowall+ offers a 90mm insulation board to achieve similar thermal performance while avoiding impeding conventional bricklaying techniques. Recording lower U-values while maintaining traditional cavity widths means existing house designs do not have to be adapted. Eurowall+ installed at a Foreman Homes development. Eurowall+ can also offer an alternative to other forms of cavity wall insulation. The boards can help to save on material costs, as items such as wall ties and lintels do not have to be increased in size to suit larger cavities. Comprehensive supporting details such as thermal bridging calculations help to ensure that junctions are built correctly, and the improved performance is accounted for in Standard Assessment Procedure (SAP) energy calculations – as part of a ‘fabric first’ approach. 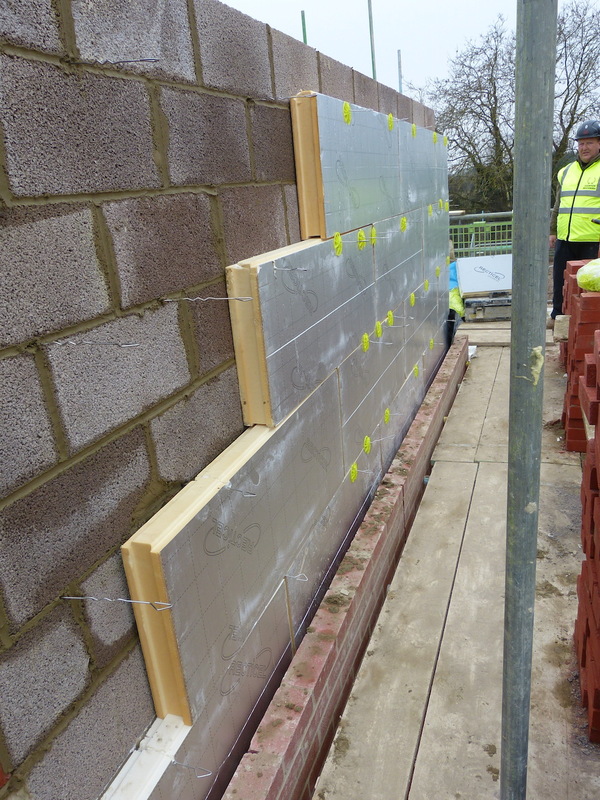 In total, 3,000m2 of Eurowall+ insulation board was installed across the two housing developments, which feature two-to-five bedroom properties. A lightweight, easy-to-handle panel it allows for a application between the brickwork and internal blockwork of each building – without compromise to thermal performance. For Foreman Homes, it meant reduced installation times and on-site construction costs, whilst the occupiers inherited an energy-efficient home which maximises comfort and reduces annual fuel expenditure. Eurowall+ is manufactured using a blowing agent with zero Ozone Depletion Potential (ODP) and low Global Warming Potential (GWP). Recticel calculates that after just eight months, a Eurowall+ board saves more energy than was used in its production. The two-year works programme for the Hedge End and Ludgershall housing developments was fully-completed in 2018.